Planting a seed at the right depth improves the seed's chances of developing into a hardy seedling and increases germination rates. The precise depth varies depending on the size and type of the seeds you have. And while seed packets always provide a recommended seed depth, sometimes we lose the seed packet with all of its specific planting instructions, or we get some seeds from a friend, minus those helpful instructions. That's when we need a way to figure out how deep to bury those seeds in the seed-starting mix or garden soil. Although there are plenty of opinions on this, common gardening wisdom advises not to plant any seed deeper than twice its diameter. The classic "quarter-inch" planting depth found on many seed packets is too deep for many small seeds. If you know which type of seeds you have, look for that seed variety on major seed company websites. 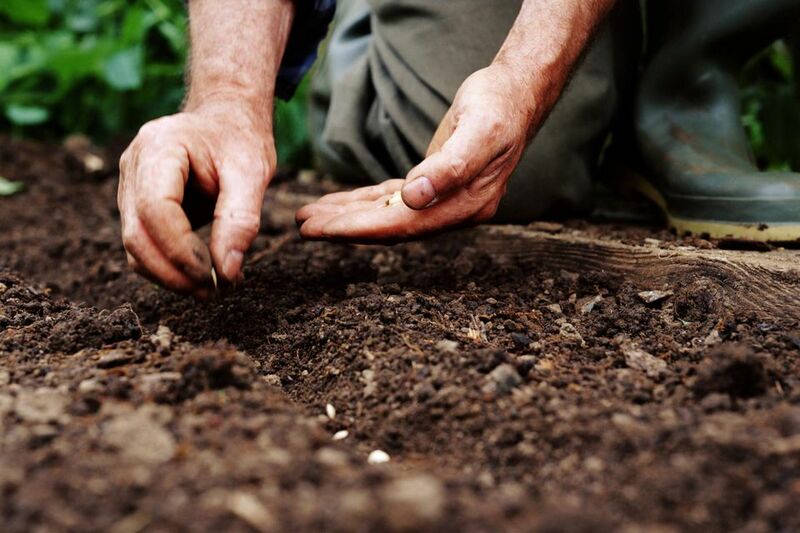 Many sites include information about the best seed planting depth along with the descriptions of the seeds they sell. Even if you don't know the specific variety of your seeds, you can still gain some insight reading about similar plants. For example, if your neighbor gifts you with some bush bean seeds, you can read about bush bean seeds of several varieties on a seed company website and make a good guess at the correct planting depth. In general, seeds should be planted at a depth of two times the width, or diameter, of the seed. For example, if you have a seed that's about 1/16 inch thick, it should be planted about 1/8 inch deep. Large bean seeds, which can be up to 1/2 inch wide, may need to be planted an inch deep. For tiny seeds, place them on the surface of the soil and barely cover them with soil or vermiculite. Don't compress the soil atop the seeds as you plant them. The soil should be firm but not compacted. Large seeds are more tolerant of being planted too deep than tiny seeds are. Common effects of planting too deep include limited or failed germination and weak seedlings. If you have any of these problems with your seeds, double-check the recommended planting depth, or plant a little shallower the next time.